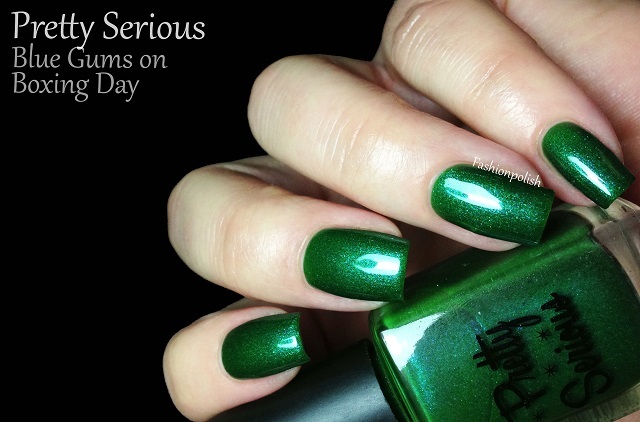 Do you remember a few months go when I reviewed my very first Pretty Serious polishes? Well today I have a couple more to show you? Exciting! Blue Gums on Boxing Day is a warm green jelly with a blue shimmer running through. 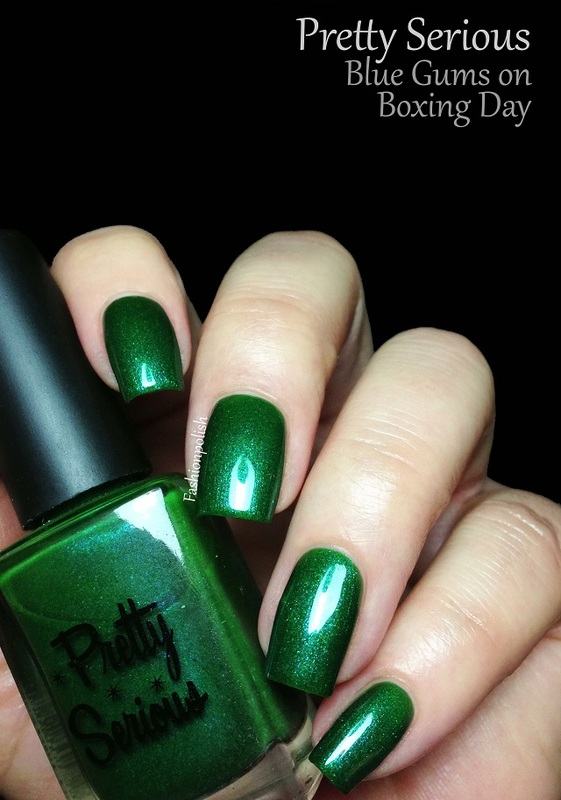 It's a beautiful shade of green that literally applied itself! Butter smooth and opaque in 2 coats. Blue Gargoyle Ganache is a gunmetal grey with a faint gold and purple duochrome. Another 2 coater with a perfect formulation! 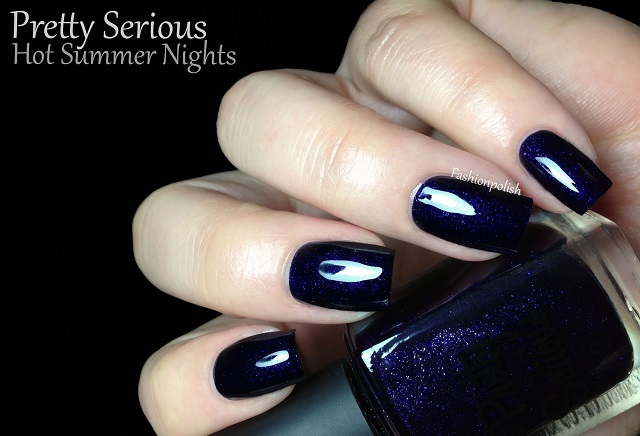 Hot Summer Nights is a blackened blue shimmer. 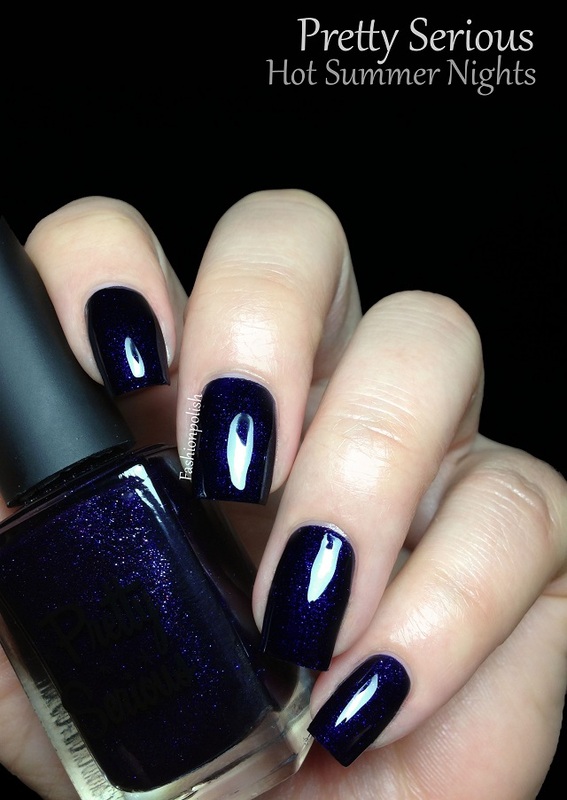 Very dark, almost black, under low lighting, it's simply the most perfect blue I have every tried, you could easily get away with one single coat. I'm not sur I have ever seen such high pigmentation in a vampy before. 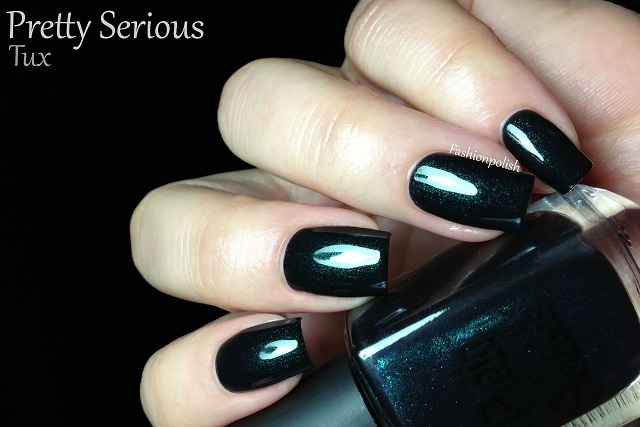 Tux is turquoise shimmer in a black base. The shimmer seemed to have some multichrome properties from the bottle but the effect remained very faint on the nails. I still love it anyway, especially considering the high quality of its formula. You're looking at 2 coats pus topcoat below but I could easily have stopped after the first layer! My first impression is confirmed and I really love that Pretty Serious is such a high quality brand! 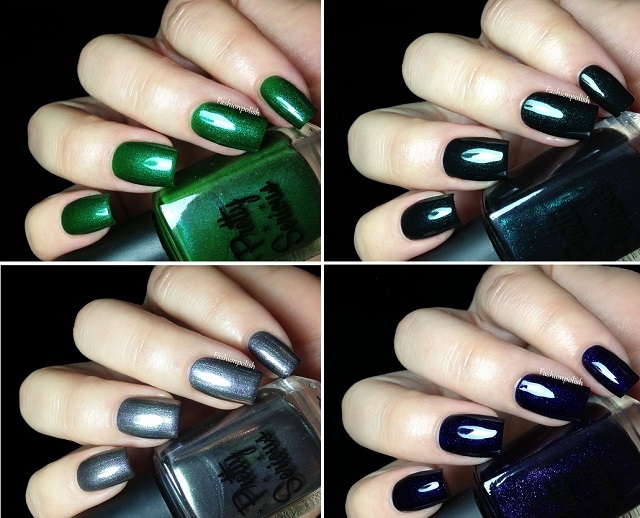 Pretty Serious Cosmetics nail polish line is Big 3 Free, Formaldehyde and Resin Free and retails for $9.95 AUD each. Whoa... Hot Summer Nights is amazing! It looks like it has so much depth to it. Blue Gums on Boxing Day is also a great shade. Tux is now on my "must-have list! OMG!!! These nail polishes are all so pretty especially the first one. 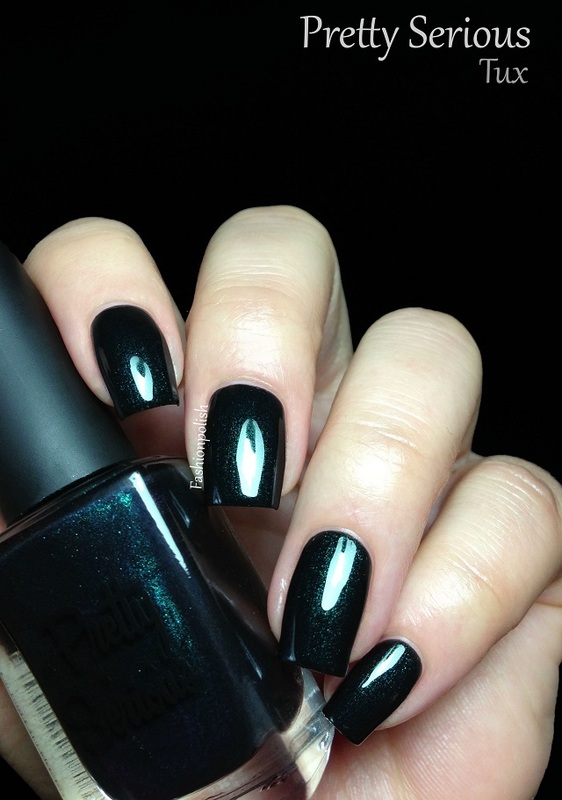 Love the color for I find it classy and perfect for this time of year. Hot Summer Nights and Tux are definitely going on my wishlist. Wow. Pretty Serious makes some awesome colors. This is a great brand! Lovely pictures. Oh my goodness! The are all four gorgeous! I've been looking for the perfect green and I think Blue Gums on Boxing Day is IT. That's just gorgeous!